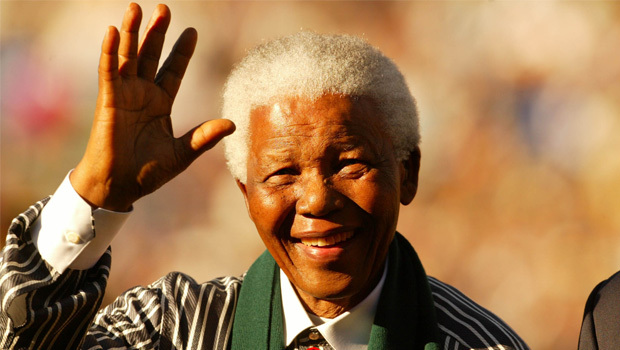 It is with great sadness that his family, the people of South Africa, and indeed, the entire world lost Nelson Mandela. Very rarely in the history of humanity has one man meant so much to so many people. His bravery transcended the bars of his cell on Robben island, and went far beyond the borders of South Africa, that so torn and fractured of countries. His message of peaceful defiance, and despite the heinous wrongs committed by the Apartheid government, his ultimate forgiveness, was a message that restored to a struggling world hope for peace, justice, freedom and equality. Mandela spent 27 years in prison…27 YEARS…and yet found it in his heart to forgive his captors, putting aside personal vendettas for the good of the people. His actions humbled one half of a nation and shamed the rest, and his selflessness became an inspiration to millions of people the world over. Reams of far more eloquent words than mine have been written about the great man in recent days, so I’ll add this simple thought: If a humble Englishman such as I can use my life for a 1000th of the good that he did, then it will be a life well spent. I mentioned before that it has been rare throughout history for one man to inspire so many. But there have been others, and next I’ll mention my own personal hero, Mahatma Gandhi. Gandhi led India to independence and inspired movements for civil rights and freedom across the world. He led nationwide campaigns to help ease poverty, he battled for women’s rights, he strived to create religious and ethnic harmony, and he fought against the ancient curse of untouchability. Above all he campaigned, with his heart and soul, to achieve self-rule for all Indians. All of this, and he never once raised a fist or his voice in anger. With his very soul he believed in non-violent protest, and it goes to show how much can be achieved in the world if the belief is strong enough. I wonder what ‘Bapu’ would make of the world these days, with the ongoing caste and women’s rights issues in India, and human rights issues across the globe. Add to this the U.S.’s disgraceful alienation of its poor and aggressive foreign policy (not to mention the U.K. and various other puppet nations that daren’t intercede) The continuing and alarming surge of nuclear enabled nations, and Israel’s bullying of Palestine. The list goes on. Nobel Peace Prize winner Martin Luther King has long been a national icon in the U.S. and across the world. His Gandhi inspired understanding of non-violent resistance and his commitment to America’s struggle for civil rights leaves him as one of the most influential figures of the twentieth century. On a recent visit to India I visited The Dalai lama, and understood for the first time how totally amazing he is. Peace oozes from his every word, and those messages of peace are simple yet undeniably powerful. He is the leader of Buddhism and spiritual leader of the Tibetan people, yet encourages unity and harmony between all peoples and religions. And under Tibet’s barbaric Chinese regime, he remains confident that through ongoing non-violent protests and political rallies, his most peaceful and holiest of lands will eventually be freed of foreign tyranny. 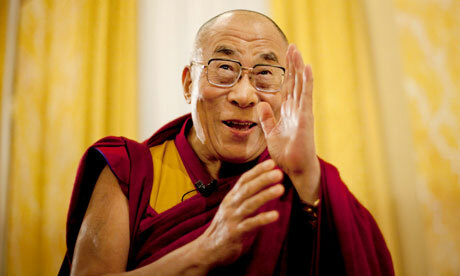 The Dalai lama, like Mandela, King and Gandhi, are and always will be an inspiration to the betterment of humanity. It’s been sixty five years since Gandhi was assassinated. He, probably more than anyone, has shown the world the importance of action. Despite the personal hardships he endured to lead his people and his country to freedom, there was never a backward step. His love for his country and his basic human goodness ultimately cost him his life, but it was a life he gladly gave to do the right thing. 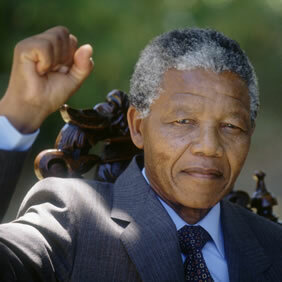 Sadly, the world has only just lost Mandela. Though his message and inspiration will live on, it truly is a great loss. The Dalai Lama is the embodiment of peace and understanding, and it’s difficult not to be moved by his message of universality and the plight of his Tibetan homeland and its people. The Dalai Lama is an old man now, and soon his time will come to depart. But let us hope that his message will live on through the next chosen Lama, and Tibet one day gets back its freedom from Chinese tyranny. 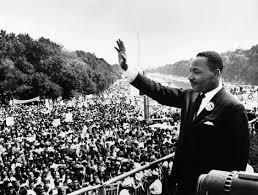 Martin Luther King had a dream, and with it inspired a million more. All we hear about is the axis of evil, North korea’s continuing nuclear program, and how Ban Ki Moon keeps whining that North Korea should stop its nuclear advancement and re-enter the six party talks. Okay, so he makes a good point. Kim Jong Un treats his nuclear weapons like a toy, threatening everyone and everywhere like some playground bully. It is a threat that we should take seriously. But while all the talking and cancelled meetings and macho posturing goes on, what about the millions of forgotten people? So little is known from within the Hermit Kingdom, and that is not without reason. The bottom line is, the people of North Korea are suffering terribly. 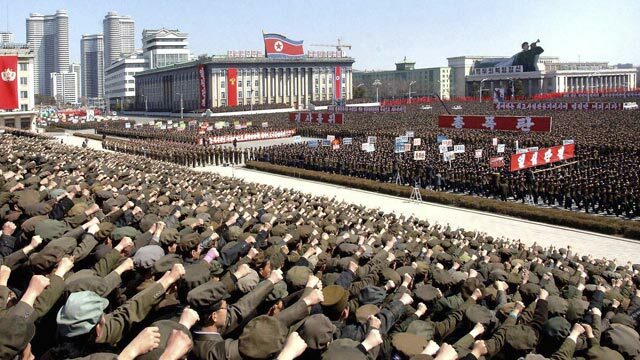 Few people outside of Pyongyang accept that the Kim dynasty truly believe in their party’s communist ideology. It’s simply a case of maintaining power at any cost, and that means brain-washing and subduing their subjects. They are starving in their millions. They are arrested and sent to labor camps to work until death, for such feeble crimes as listening to a South Korean radio broadcast. Attempted escape from the gulags or across the Chinese border leads to Three Generations of Punishment, where family members are guilty by association. And that means almost certain death, for dissidence is a capital crime. So few people have made it out of the D.P.R.K. that the world as a whole is ignorant to the ‘citizen’s’ horrific plight. According to the North Korea Now human rights magazine, as many as 3.7 million people died of starvation during the nineties. And this famine is NOT a natural disaster. It is planned. Former leader Kim Jong Il strategically managed hunger to grow and strengthen his power, starving the masses to silence dissent and quell initiatives. It is simple but clever. If you show loyalty to the state, you’ll receive more food, thus perpetuating the regime’s control. And that is why the D.P.R.K.’s military is so strong. Families that send their sons and daughters off as volunteers get more food. If you’re hungry, join the army. These numbers give some shocking context. Available Military Personnel: 9.3 million. That’s 1 in 3. Available Military Personnel: 387,000. That’s 1 in 163. So the D.P.R.K. has 24 times as many available soldiers as Britain, with a little less than a third of the population. It’s a vicious cycle, and a tragedy that the world needs to know more about! So I ask you, WHERE IS THE KOREAN MANDELA, GANDHI, DALAI LAMA OR MARTIN LUTHER KING when North Koreans need them most??? Of course, it is virtually impossible for someone of that ilk to rise from within the D.P.R.K.’s borders. To speak up is to die. But having lived in South Korea myself for three years, I strongly believe that the vast majority of Korean people consider their northern neighbors as countrymen. Koreans one and all. So why hasn’t a dominant figure emerged from the rich, technically advanced South to carry the humanitarian flag around the world and raise awareness of his or her northern brothers and sisters? There are protests, and many people do try and get aid across the border. Radio broadcasts are used to illuminate the differences between north and south, but they are quickly intercepted and shut down. The sad thing is, those poor people within that desolate kingdom don’t even know they are suffering. Such is the propaganda fed to the masses about the corrupt west and how it is the evil capitalists that struggle and starve, (true in many cases) that the regime will probably never tumble. That is why an outsider must carry the flag for the north, and it MUST be a South Korean!! I am anti-war of any kind, though obviously in some extreme cases dictators need to be removed. But that is only after all else fails. And it seems to me that the world as a whole…that’s me, you and all the good people of the free world…haven’t done enough to emancipate the desperate North Korean people from their torturously difficult lives. What are you doing for your northern brethren, 박근혜 Park Gun-Hye?? The new president of the South is surely the person to carry the flag. What about her predecessor, 이명박 Lee Myoung-Bak? What did you do for your brothers in the north, where almost certainly some of your distant family members starved while you ran a blossoming and greedy capitalist country? 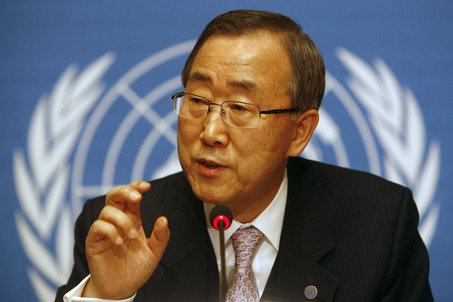 And finally, what about 반기문 Ban Ki Moon?? Currently the Secretary General of the United Nations, this man is the ideal candidate to carry the flag! And while we hear constant rhetoric about ‘talks,’ and ‘peace treaties,’ and ‘militaristic antagonism,’ these mere words are not helping the people. While the military threat of our foreign borders is real, albeit unlikely, first and foremost our concerns as moral humans must be the many generations of forgotten, voiceless and forsaken citizens of what is the world’s most graceless, selfish and torturous regime!! The west, and in particular the U.S., need to stop concerning itself with trade and industry with China, and help the tragic people in its ever darkening shadow. North Korea is the little brother with the biggest problems, and if ever there was a time for big brother to show the loyalty that I about heard so often while living in the south, that time is now. Because if the South Koreans, and the world as a whole, are not careful, the Kim dynasty will rule its country into extinction. And what would Madiba think of that? Four inspirational men. Having read the Orphan Masters Son (highly recommend it) I hope that someone will step up soon for North Korea. Yes, and until then all we can do is try and raise awareness by saying our little bit. I don’t know how I missed this post. I’m 100% in agreement, I can’t understand why more isn’t being done to help North Korea… except that I guess they just don’t have a lot of resources for people to take advantage of/pillage if they open up. Disgusting. And because of the way China treats North Korean refugees, I’ve decided against visiting and giving my visa cash to a government that will knowingly send refugees to their death. Yes Sally, that’s always a tough one. As a committed traveller and adventurer, North Korea has its appeal, as does China. But after some consideration, i decided against visiting the DPRK on moral grounds. I agree that our money should be more considerably spent. That said, I still think there is room for flexibility, in terms of where we go in a country and what we do when we’re there. I despise what China are doing in Tibet and their support for the Kim regime, but in rural China, where they are far removed from much of the politics etc, a visit could be useful to them. This is always an interesting discussion, and one with no clear answers. We each have to make our own conscious decisions, and in this case, I absolutely agree with yours.